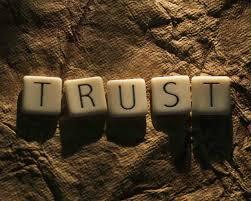 Trust between vendor partner and client takes a big part in a positive relationship and therefore positive outcomes. With that said, when a potential client contacts you, the planner or producer, how do you know that this person or company is trustworthy. Clients ask for references, but do we, the events services provider ask a potential client for references? We don’t, but how can we check up on these folks so we don’t get burned either financially or reputation wise. Here are 5 tips for preventing taking on a project with an untrustworthy client. Listen closely to their answers for red flags. Are they willing to give you enough and the right information so you can create a proposal or bid? Are they giving you reasonable lead-time? Do the various parts of their requests make sense to you? Will they share their budget with you? Is that budget reasonable for what is being requested? Many of us will often jump at a possible new project because we want our year’s revenue to be really good. However, if the client is not trustworthy, the project could cost you more than you bargained for. This could cost you in dollars and cents, your time, aggravation and most important of all, your reputation. None of these are worth it. Comments anyone? Contact me at pahaesy@pnventerprises.com for a “Trust Evaluation” or for help with your next event or meeting.